Home Other Is Secondhand Vapor From Electronic Cigarettes Dangerous? The health effects of vaping is still a controversial topic that has many unanswered questions. Researchers cannot ascertain the exact health effects of the long-term use of e-cigarettes and vapes. However, they claim that the habit is less harmful than smoking combustible cigarettes. Without a doubt, we know that the latter can cause cancer and harm to the inner organs, among many other things. We also know that secondhand smoking, where people inhale the cigarette smoke from primary smokers, is equally harmful both in the short and long term. What is still not clear is whether second-hand vapor from e-cigarettes has adverse health effects or not. However, health and scientific research can give people an idea of what to expect. When the e-juice in an e-cigarette is heated by the coils, it produces a vapor that is inhaled by the user. However, not all of it is retained in the body system. As a matter of fact, the majority of it is exhaled out. The aerosol vapor that is exhaled in the air by the vape user is called secondhand vapor. It is assumed that a person who is near someone using an e-cigarette will breathe in some of it. For instance, sharing a small room with such a person will cause you to breathe in some of the vapor. 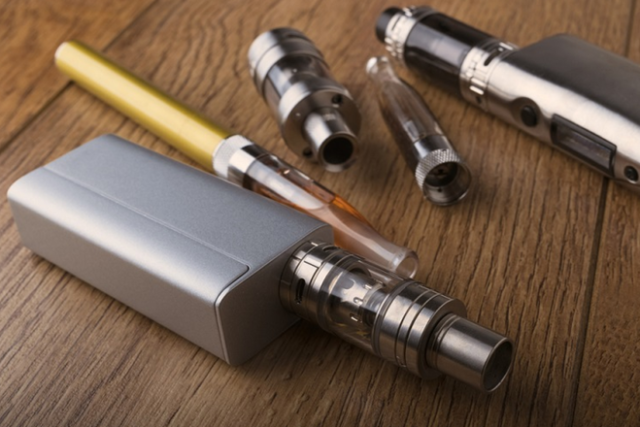 As we all know, the use of vape pens is allowed in many public places, unlike the use of combustible cigarettes which are relatively prohibited. There are numerous types and flavors of e-juice. Equally, there are many types of e-cigarettes as seen on the ePuffer website. However, they all work in the same way where the user inhales the produced vapor and exhales most of it. When the vapor goes into the lungs, most of the ingredients remain in the body. But still, there is a lot that comes out into the air. Upon mixing with the air, there might be some reactions that occur before the other person inhales it in. Some research reports show that the inhaled air may not contain much other than the propylene glycol or vegetable glycerin they use. These are food-grade materials that are approved by regulatory bodies. But there might be more depending on the contents of the e-liquid. Those that contain high levels of nicotine will have some left because not all of it may be absorbed into the first user’s system. Of course, the other person will inhale some and can suffer the urge to start using the vape. Likewise, marijuana e-juice and other THC materials can have effects on the other person. In fact, their contents are equally strong as when used by the primary users. Needless to say, there might be reactions, especially for asthmatic people. It is safer to stay away from secondhand vapor if you are not a user of one. Users should also stop vaping in rooms or near children, elderly people, or those who are not interested. The negative health effects cannot be underestimated. Next articleBest Home Improvement tips every Homeowner should follow!